DESCRIPTION Welcome to this unique sprawling custom built home in the exclusive gated community of Cairns on the Bow! Offered below appraised value and construction costs, this 5 bedroom home (all with ensuites) is sure to be an excellent investment in the years to come. An extremely private setting where the lots are oversized and there are only 18 homes in total; this property will appeal to only the most discerning buyers. 2 Master Beds, a large family room at grade as well as a recreation room in the lower level, wine cellar, upper floor open office, elevator and mini kitchen in the main master are a few of this homes amazing details. 3 car attached garage with covered parking for an additional 6 cars as well. Thermador, Cherry Cabinets and double thick honed granite complete the deluxe kitchen. There is a massive South facing deck area with wood burner. Home for sale at 155 Cairns Ld Canmore, Alberts T1W 3J9. 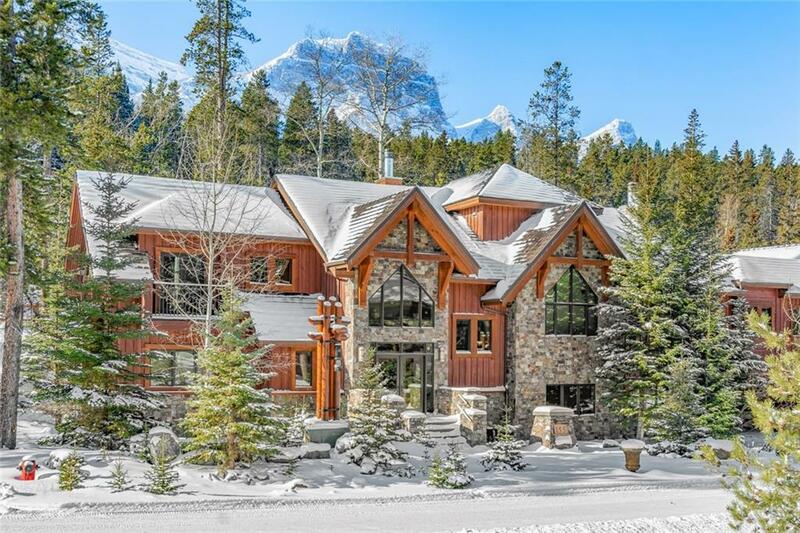 Description: The home at 155 Cairns Ld Canmore, Alberta T1W 3J9 with the MLS® Number C4229708 is currently listed at $2,799,000.